First, we get started on two things and that does True tone eating up more battery on MacBook Pro and second is the difference between True Tone VS Night Shift. Then we see on How disable-enable True Tone on MacBook Pro. So let’s start! Does true tone use more battery on MacBook Pro? According to expert, On Apple Product, every sensor on the MacBook uses a battery. Not In just MacBook Pro but sensors are everywhere. 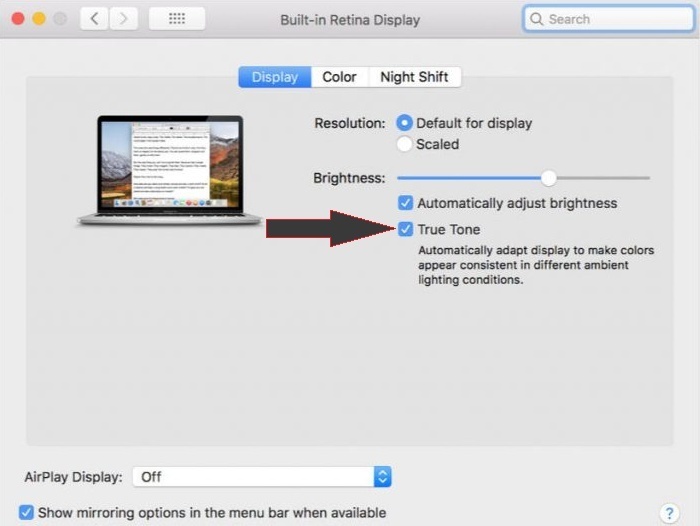 In simple English, True Tone display won’t affect on your MacBook Pro battery life. It will use a tiny bit of it, but not worrying, 2018 MacBook Pro has larger Battery. It will able to handle more than tasks for a long time. In case of your mind think that the Turn tone eating up more battery then the following trick will let you how to switch True Tone toggle Off on your MacBook Pro. 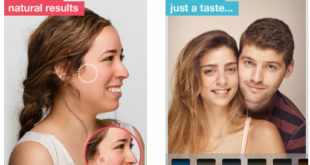 True Tone does work through the sensor and it is auto-adjusting technology. While Nigh Shift isn’t a sensor based feature. However, both works almost the same. I experienced both things on my new 2018 MacBook Pro 15-inch but honestly, I didn’t notice much difference between the both. One is adjusting manually while other does work automatically. Main difference things are Turn tone is a subtle continues, automatic white balance adjusted based on ambient lighting sensor, while Night shift mode is a scheduled warming of MacBook Pro. The Effect of True tone vs Night shift is the same that is Fact. Night shift can be adjusted. The photo is so much better and the colors seem crisper. Truetone should use on MacBook Pro for Photographers and video editor? True Tone adjusts the white point temperature to match the ambient light. While Night shift overrides True Tone. So after reading True Tone VS Night Shift and true tone use more battery on MacBook Pro, if you would like to enable True Tone Display on your Apple laptop then go with following steps. How to Enable True Tone on MacBook Pro 2018? Step #1. 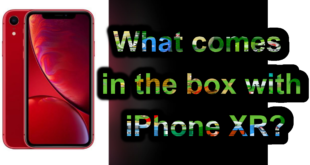 Tap ON Apple logo on top Menu Bar. Step #2. Select System Preferences then Click on Displays. Step #3. Next, Click the Display tab. Step #4. Now, Tick mark next to the True Tone to Turn On/Off True Tone Display feature on your Apple Mac laptop. To access True Tone System Preference, Apple suggests a Shortcut command: use the Opt+Brightness keyboard to quickly get to the True Tone switch. In More, Touch bar can also change its color temperature based on the color Tep of the room. Even though, the effect is much subtle. Unluckily, Still just toggle true tone in inside system preference but I would like to see it in the Notification Center next to the Nightshift mode so that it will better and easier access for photographers and video editors. macOS True Tone function is not just in-built display but it also supports several external 4K and 5K display including the LG UltraFine 4k & 5K Monitors. Like it? 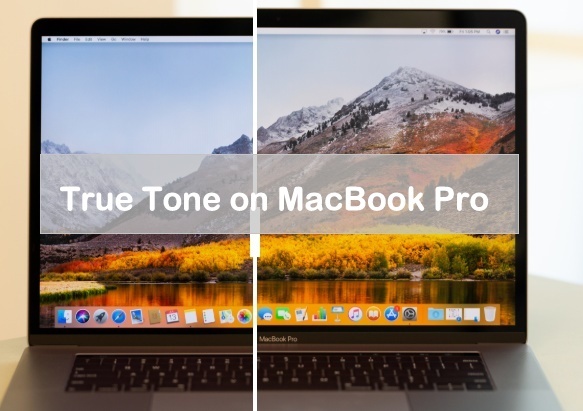 Don’t miss out to share this guide True tone on MacBook Pro 2018 with your friends! Thanks.